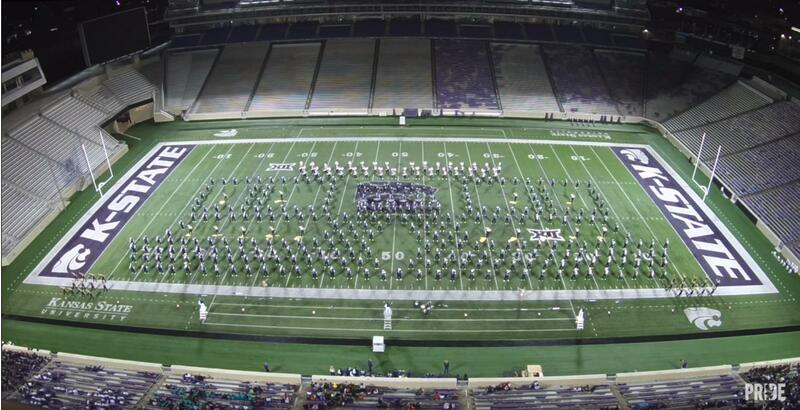 Last year we featured K-State's "Chicago" performance at the Central States Marching Festival and it went bonkers. You can watch it here. This year The Pride of Wildcat Land once again hosted and showed why they are one of the best bands in the country. Watch as they absolutely blow away the crowd at the festival. Their big sound and precision marching make them one our favorite bands in the Big 12 and if you're thinking of going to a Big12 school with an awesome band program make sure they are on your list! That Sing Sing Sing drumline and marching feature steals the show and the crowd responds as you'd expect. Love this performance. Share and enjoy this power packed performance! One year we need to come and attend this festival!